Home > Resources > Erase Android > How to Delete Everything on Android Phone/Tablet? Do you want to upgrade to a brand-new Android phone and decide to trade in your old Android phone or tablet? If that's the case, you can sell your old Android device on eBay or Craigslist, trade it in for cash, donate it, or just give it to your friend. But let's talk about a question: what about the private data you stored in the old Android device? Such as contacts, text messages, passwords, emails ... you name it. Feel annoyed to delete Android files manually one by one? Luckily, you can erase everything on your Android phone with just one click now, as long as you have this professional Android Data Eraser. It allows you to remove overall file types, such as contacts, messages, videos, photos, audio files, notes, calendars, emails, account information, passwords, call history, apps and many more from Android phone and Android tablet in one click. Don't believe it? Why not just give it a try by yourself by clicking the following button to get the free trial version of the Android Data Eraser? It surely won't let you down! Step one, launch the installed Android Data Eraser on the computer and then get your old Android phone connected to the computer via the USB cord. 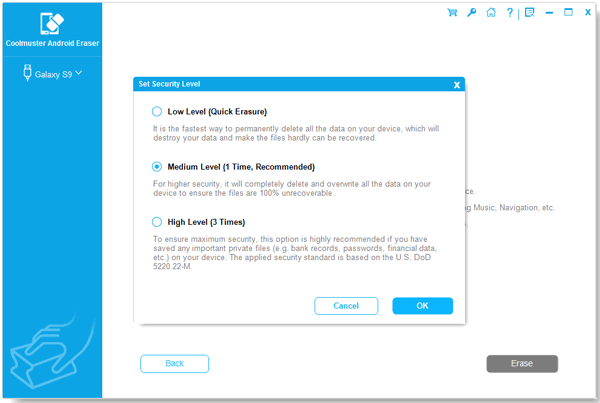 The software will then detect your device and scan for all the saved files. 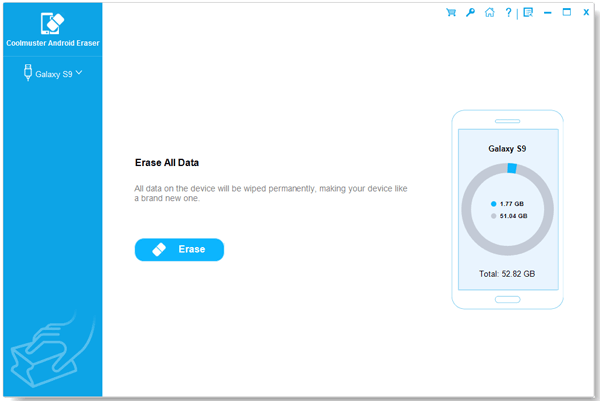 Step two, if you just want to delete everything on your Android device, you just need to give a click on the "Erase All Data" button from the interface and the program will delete all data permanently and make your Android device like brand new. After the deletion, you can deal with this Android device as you like.